← Forced Volunteerism – is that an Oxymoron? This is part seven of an ongoing GirlGuidesCANblog series to provide GGC Members, volunteers, and parents with a better understanding of social media issues and best practices. For the past few years, early online adopters have been sharing their private stories and photos with their friends and with people in (and sometimes outside of) their network. 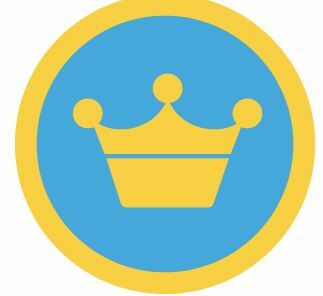 Using location-based platforms, they share their coffee buying habits (“I’m at Starbucks on Highway 4”), and are very, oh so very proud of their Foursquare badges, that they’re awarded when they repeatedly visit a location for a set number of times. For them, the online world is a place for fun and friendly sharing! Then why are location-based platforms so scary to so many of us who aren’t so open (and narcissistic?) online? Because our information could be used by strangers to find out where we live, go to school and even meet for weekly Unit meetings. Now that is scary! So what can one say about location-based online platforms, Facebook Places, Foursquare, and Gowalla, except for “be careful”?! How about some suggestions to make you feel safer online? Consider your aggregate timeline, not just your individual posts, tweets and check-ins. You might not have posted your home address on your Facebook page, or in your Twitter bio, but if for example you share your Foursquare check-ins to either of those social platforms, your combined timeline could create a pretty detailed picture of your local neighbourhood hangouts. Becoming Mayor on Foursquare is exciting! (I was one once!). However, do you have to be Mayor of the parkette right by your house? These suggestions may seem obvious to many of you already aware of safety concerns. It comes as no surprise that the same rules that apply offline in the real world, apply doubly so in the online world. No need to be afraid, just safe. Just wanted to point out that you can already find out where any particular unit meets on the Girl Guide unit finder website. It has the address, the day and time that the unit meets. No big secret there. I think the benefit of having those who need to find us outweighs the risks of those that shouldn’t find us. Besides, most of us take security precautions at our meeting place anyhow.